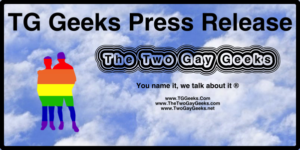 The Two Gay Geeks received the Press Release below from our friend, Mona, at ILDK Media. We spoke with Susan a couple of months ago about her career before becoming a full time musician and her career as a musician. Look for the link to the episode after the Press Release information. 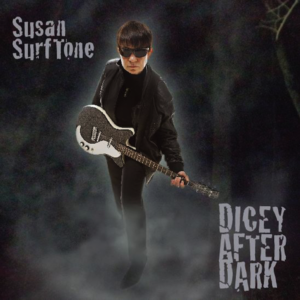 Los Angeles, CA – Critically acclaimed Susan Surftone kicks off the new year with a brand new EP dubbed “Dicey After Dark”. The 6 track EP which contains three original songs and three covers drops on January 8th on CDBaby. Surftone is also set to return to Kulak’s Woodshed in Los Angeles for another “Hanging With My Sisters” show on February 6, 2019 during Grammy week. Surftone stands among the female daredevils in the LGBTQ community who continues to change the game for queer women. She achieved power through her remarkable ability to take a chance, shake off-stereotypes, fight adversity and break the glass ceiling in her professional fields. From her FBI years to the time she spent as an Attorney for the NYPD assigned to the Tactical Narcotics Team in Harlem, to her prolific career as a surf guitarist, and now a political commentator, the out artist defied the odds at a time where mentalities where not as open-minded and accepting as they are today. She was able to bring a culture of “inclusion” in both the FBI and the music industry – two heavily male dominated professions – by just remaining authentic to herself. Leaving the FBI pushed SurfTone to form bands of her own: Susan and the Surftones. She went on to record more than 10 albums, became breakout stars in Europe. MTV also used two original songs in their “Real World” series. Now under the Trump Administration, ironically, with Russian espionage, FBI scrutiny, and Supreme Court, anti- immigration and anti-LGBTQ issues in the news lately, Susan’s found herself reflecting back on her FBI days with unexpected frequency penning more than a few editorials about the political news of the moment, which were published in HuffPost, The Advocate and Curve, among others. Through the years she has always been a strong advocate of encouraging girls to play guitar and start bands. Surftone is using a lifetime of lessons and musical talent to encourage other queer young women to sing out loud and strong. She continues now to be a social activist for women empowerment and LGBTQ rights. 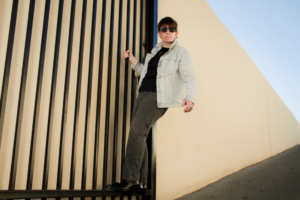 Whether engaging in espionage or breaking into music, this queer musician has always been fearless and lives out loud.